What would be your ultimate getaway? Rome, Key West, Paris or a coastal paradise? Or is a romp through the Wild West more your game? 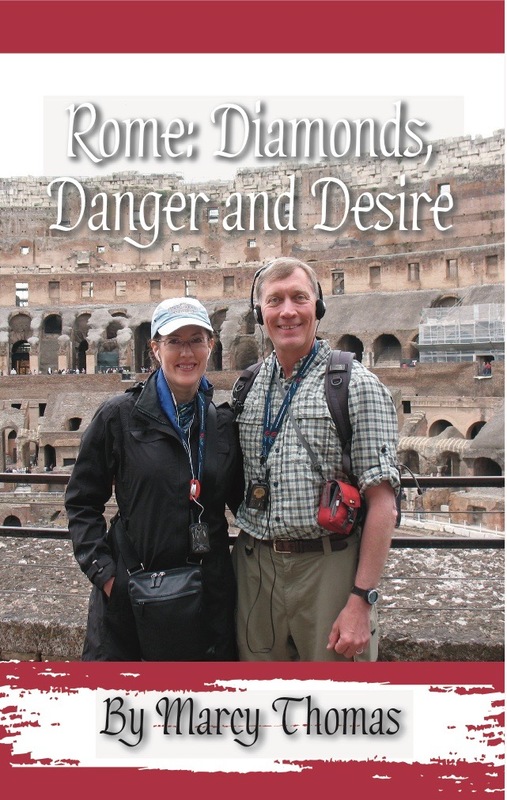 Thanks to the writing stylings of Marcy Thomas/Thomas Marcy, you can go to each of those inspiring locations. 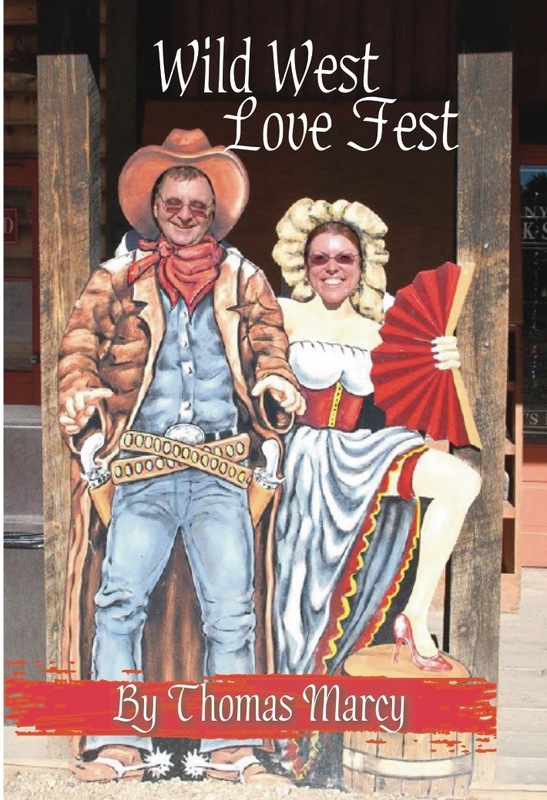 Those are the nom de plumes of writing duo extraordinaire Marcy and Tom, a hubby-wife fun pair not only spinning tales for YourNovel.com that are packed with action, adventure, and sweet romance, but who, at their day jobs, dish up yummy fudge, delicious ice cream and chocolately treats at Kilwin’s in downtown Asheville, NC. 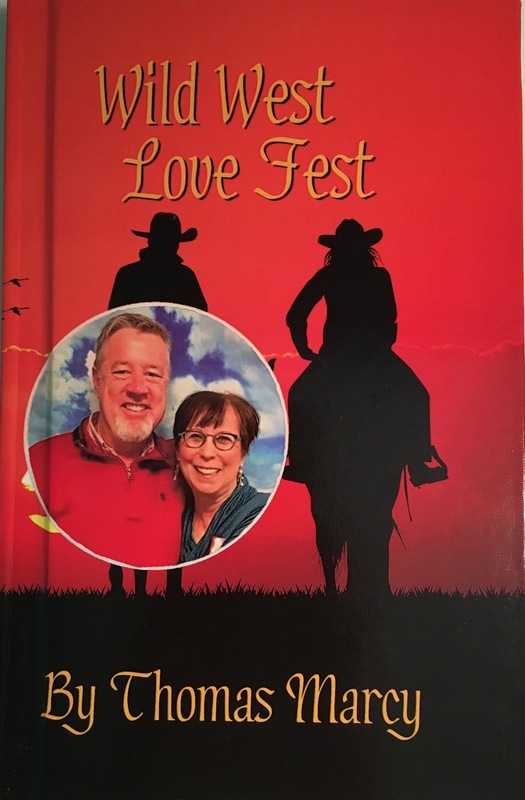 This special new full custom cover service is available only on these select titles and luckily, two of the books by Marcy Tomas are included: The Rome book and the 2017 release of the rip-roaring fun that is Wild West Love Fest, which takes you and your love to the 1870s amidst the adventure and excitement of the Wild West. 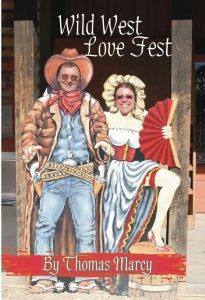 Good news, too: It’s not too late for Valentine’s delivery if you order Wild West Love Fest as an ebook! In this rollicking tale, you live without all of the modern conveniences you’re used to in a town gone wild searching for missing gold and cash. Meanwhile, because of a case of mistaken identity, you have a bounty on your heads, and you have to deal with a cast of Wild West characters like a half-witted bounty hunter, a love-sick gunslinger, a bevy of bodice-busting saloon girls and bunch of notorious pistol-packing outlaws. Head ‘em up and move ‘em out, get along little dogies, and find your way back to the 21st Century. 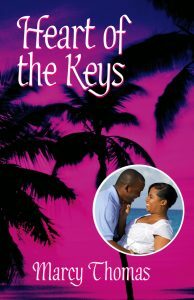 Another Marcy Thomas creation, Heart of the Keys, brings you and your sweetheart to the southernmost tip of Florida to a Bed and Breakfast run by two sisters. They recount an extraordinary tale about a mysterious love letter from 1848 holding a secret that only two gentlemen know. One has concocted a most unsavory scheme while another needs your help to stop him. Do you have the courage to help? You’ll have to endure a thrilling chase through a tropical paradise where dazzling sunsets are both romantic and distracting. If you’re up for the challenge, then love is waiting for you in the Heart of the Keys. 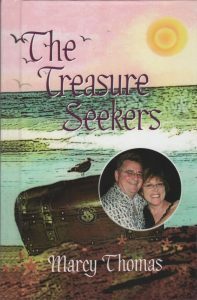 If you and your sweetie love treasure hunts, then Treasure Seekers is for you.You are the starring couple seeking adventure and riches. Follow the clues, but watch out for pirates! There’s danger lurking in every direction, and your days of fun in the sun will turn to nights on the run. But with enduring love and some luck, you’ll beat the odds to learn what life’s most precious treasure is? Two stories also by Marcy Thomas are paired with two tales from writers Fletcher Newbern in Shore Thing II: Surf City Special Edition. 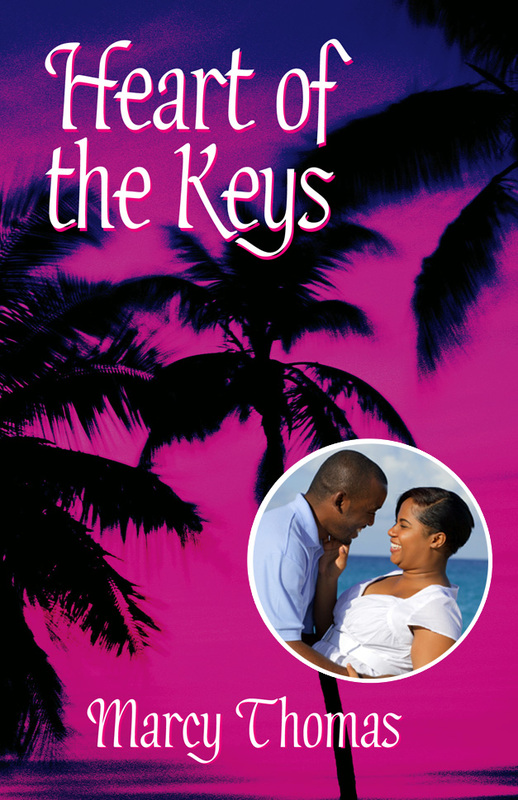 It includes four captivating tales that are for couples who love vacationing on the shore. You and your forever Valentine can learn to surf in Huntington Beach, CA. Who wouldn’t love to enjoy Surf City, USA as it is famously known? Spend your days boating on Lake Powell, UT with red rocks cliffs towering over you. Explore the mystical, mythical Rainbow Bridge and then spend romantic nights below star-filled skies. It gets hot and spicy in Miami, FL on South Beach, the perfect place for a steamy rendezvous. 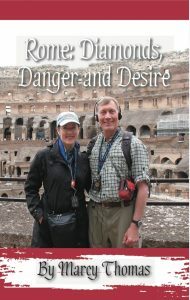 Did “Pirates of the Caribbean” get your heart pumping with desire for a swashbuckling adventure? Great Exuma Island, where “Dead Man’s Chest” was filmed, has gorgeous, warm aquamarine waters. What better place for racy romp where you have 47 miles of paradise to run and play and love. 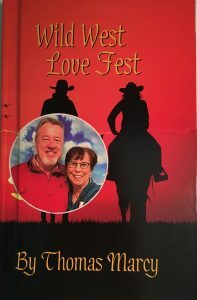 This entry was posted in Authors, eBook, personalized romance novel, Products, Valentine's Day, Writing and tagged ebook, gift ideas, last-minute shopping, personalized romance novels, romance novelist, romance novels, Valentine's Day, Valentine's gifts, writers. Bookmark the permalink.